Posted: Monday 20th October 2014 in Paid Media, Thought Leadership. Display Retargeting is a powerful and smart advertising tool that retailers have eagerly adopted as part of their online marketing tactics. The appeal of the channel is largely down to the strong conversion rates and the solid ROI that can be directly attributed. However, consumers don’t always view retargeting ads as positively as retailers. 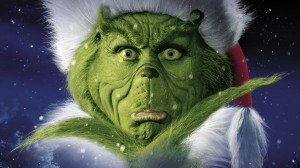 In fact last peak, especially around Christmas, display retargeting was seen as the Big Green Grinch ruining Christmas. Thanks to badly managed campaigns clues as to what people had bought each other popped up in the form of retargeted ads as loved ones browsed on shared computers in the lead up to Christmas. So what can retailers do to avoid making retargeting ads the centre of Christmas discontent? Retargeting can be – and should be – set up to target customers based on their activity on your site. If they’ve purchased make sure you’re targeting them with cross-selling messages, not the products they’ve just bought. Failing to do this only infuriates your customers, impacting brand image and wasting advertising budget which in turn ruins your campaign ROI. Instead, tailor your messaging with recommended and complimentary purchasers. This approach will ensure you do not give away the Christmas surprise and ensures you maximise your advert’s ROI. The lack of ad frequency capping is becoming more prevalent across display advertising, so ensure you set a frequency cap to limit the number of ad exposures a consumer is exposed to. If not, you are only A) annoying the consumer with what they view as ‘stalker’ like behaviour and B) wasting budget. If the consumer has not engaged with the ad after 3-5 exposures, the reality is they are not going to during this browsing session. To prevent your ads retargeting the consumers’ days after they have visited your site shorten your cookie window. Look to target users shortly after they have visited the site; consider using a 5, 10 or 15 minute cookie window. This, combined with a set frequency cap, will increase the efficiency of your campaigns and lower your consumers’ stress levels. Plan your creative mix in advance so that you know what creatives are running at what time period. This involves making sure your creatives flow with the urgency of Christmas, highlight the ‘last delivery dates’ and shout about ‘in-store pick up’ when Christmas Day looms. This will guarantee your campaign stays original, fresh and up-to-date. This will all help to increase your creative click through rate and your overall campaign’s ROI. If you’d like to know more about retargeting or how Summit can help you make more money online please contact Dave Trolle on 01482 876876.